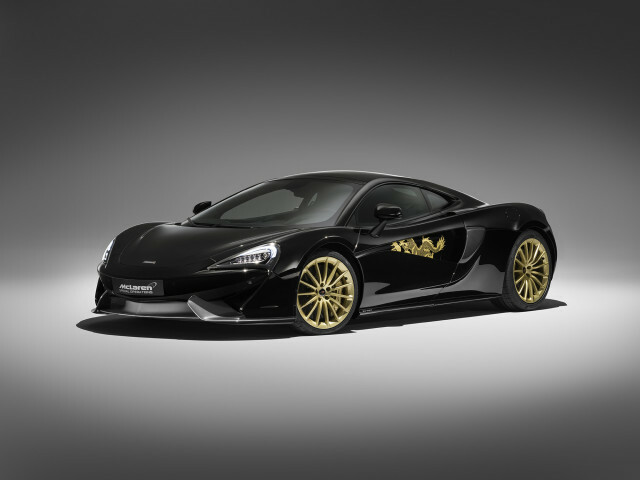 McLaren have teamed up with Chinese fashion house Cabbeen to introduce a special limited-run variant of the 570GT. The idea behind the car is to showcase the philosophy “Designed in China, built in the United Kingdom.” Just five examples will be built, and the car is being shown to the public at the 2018 Beijing auto show. This collaboration works well for the 570GT. It’s easy to go over the top with any supercar, but the 570GT is closer to an ultra-performance grand touring machine. The Cabbeen design elements go hand-in-hand with that ethos. Obsidian Black paintwork pairs perfectly with the Gloss Speedline Gold on the wheels and brake calipers. Cabbeen added special touches such as a hand-drawn dragon painted in the door insert. This motif is also continued inside where embroidered golden dragons can be found in the rear luggage lid and ahead of the center stack. These dragons were sewn by Kang Huifang, who is the director of the professional embroidery committee for China’s Arts and Crafts Institute. For more than four decades, she’s worked tirelessly preserve the art of Chao Embroidery. This style of embroidery is a major piece of China’s cultural heritage, and it’s featured prominently here on this 570GT. The Cabbeen 570GT should lead the way for even more Chinese market collaborations for McLaren’s MSO division.